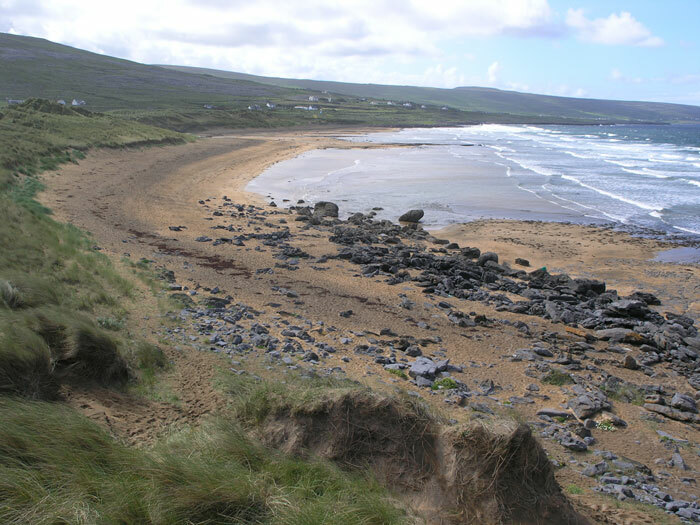 Fanore Beach is on the northwest coast of the Burren and its golden arc of sand with the backdrop of bare limestone hill make this a very distinctive Geosite. This Geosite contains a sand dune complex, the only surface river that flows over the Burren limestone, the oldest archaeological remains in the Burren as well as spectacular biokarst and fossiliferous limestone. 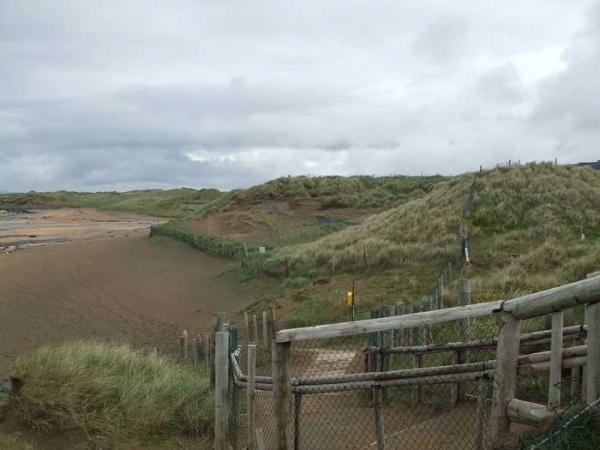 The sand dunes are priority Annex I habitat ‘fixed coastal dunes with herbaceous vegetation’ and protected by the European Habitats Directive. They started to form over 5,000 years ago and are the result of accumulations of wind-blown sand which got trapped in the relatively sheltered bay and then colonized by vegetation. These specialized plants help stabilize the dunes, and trap more sand which helps the dunes to grow in size. 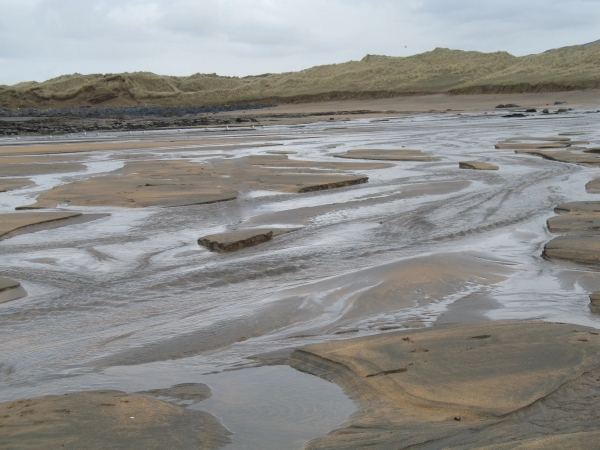 Coastal sand dunes are complex dynamic systems that change over time in response to storms, tides and sediment supply. 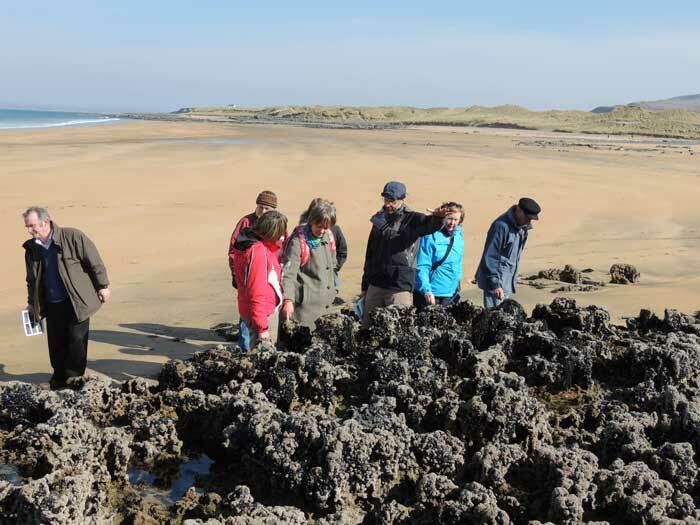 Archeologists have found evidence of people living among the dunes and on the coastal rocks over 6,000 years ago. They collected whelks and other sea shells and cooked them for food. They left small piles of empty shells and some stone tools and flakes. Archaeologist Michael Lynch has concluded that this evidence indicates that people were living in Fanore in the Mesolithic some time before the first farmers and the builders of Poulnabrone Dolmen. 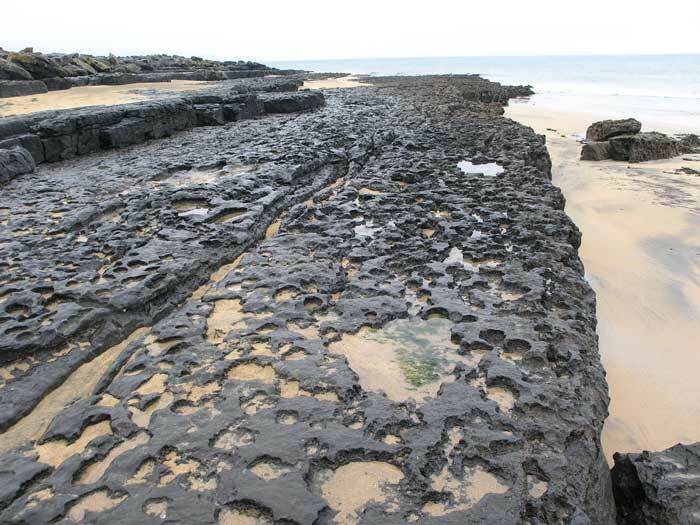 The limestone bedrock that is exposed on and around the beach is known as the Black Head member. Close examination will reveal that it contains abundant fossils such as; crinoids, brachiopods and corals. Like most of the limestone in the Burren these rocks were formed in a shallow tropical sea over 330 million years ago. The joints in the limestone that have been widened by rainwater dissolution to form large blocks are then loosened and moved by powerful storms and stacked on the foreshore. This is the main form of bedrock coastal erosion along this stretch of coast. Biokarst is a form of erosion that is caused by organisms that live on the limestone in the intertidal zone. Many creatures graze on algae that grow on the rock. 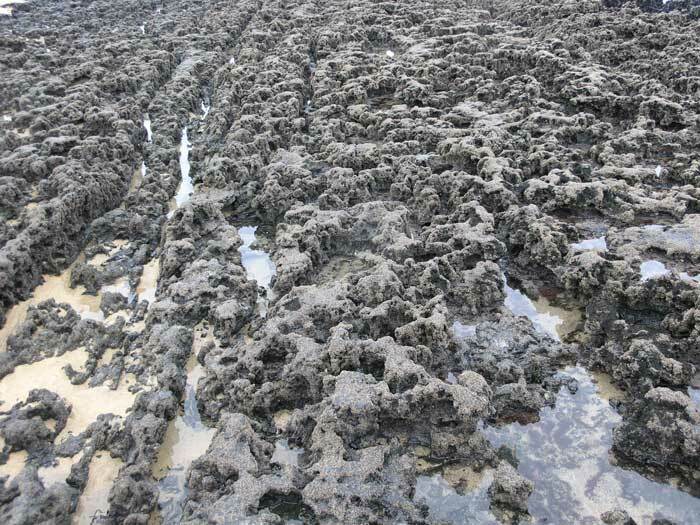 They form pits by biochemical weathering as well as by mechanical abrasion. The amount and depth of pitting increases seaward and different zones of communities of organisms can be identified living in the biokarst pits. This biokarst can remove up to 1mm of limestone every year.